208V, 4800W, 23Amps. 220-240V, 4800W, 20Amps. 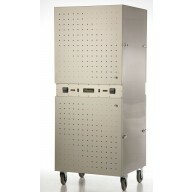 Entire cabinet, inside and out, is constructed of stainless steel. Two-zone dehydrator unit with separate computerized digital readouts and temperature controls. 99-hour timer. 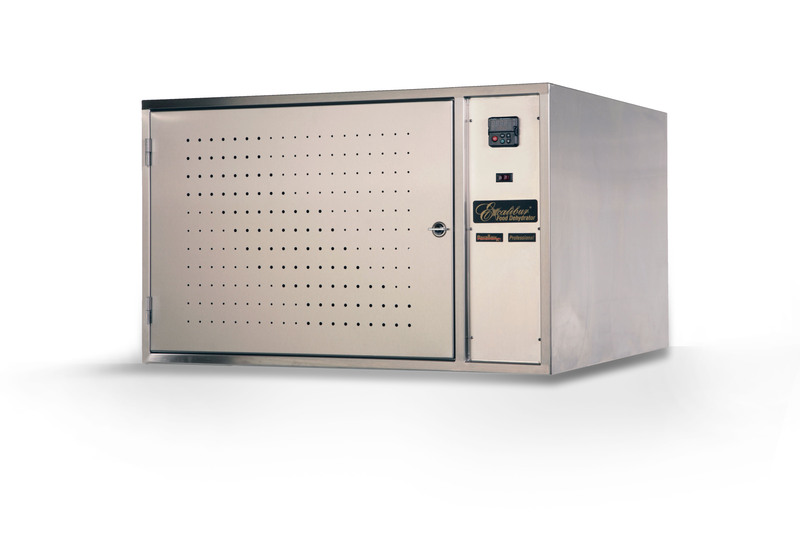 60-208◦F temperature control with automatic cool down and shut off. This readout has adjustable fan delay, alarm type and beeper cycle. User may also select the readout to display in Celsius or Fahrenheit. Door, trays and tray supports are removable for easy cleaning. Motors and fans are connected to a hinged back assembly. Back assembly can be opened, allowing easy access for cleaning. 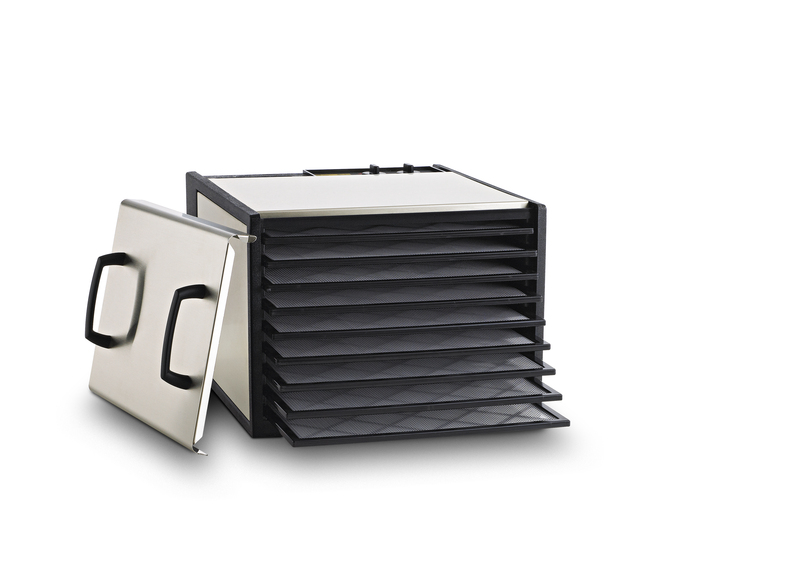 Includes (42) 100% Stainless Steel Trays. Welded and finished to strict NSF specifications. (4) wheels with casters. Front 2 are locking. Ships via trucking company. Upon receipt of order, we will contact you to arrange shipping. 3 year limited Domestic warranty. 1 year limited International warranty. Warranty is void if any modifications are made to the unit. Be the first to review “Excalibur NSF 2 Zone Commercial Food Dehydrator” Click here to cancel reply.